Appleton Children's Week 2018 – FREE & Inexpensive Activities for Kids! 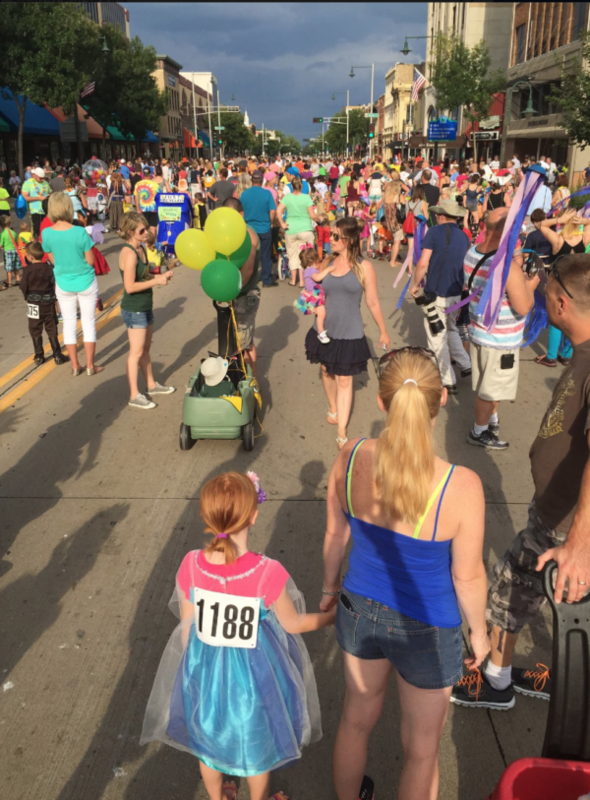 Appleton Children’s Week starts Sunday, July 22 and runs through Saturday, July 28, 2018. The city of Appleton Park and Recreation has a great lineup with a week of fun, low-cost or FREE events for children. Check out all the awesome opportunities below! For more information visit apppletonchlildrensweek.com or facebook. Join us for our kick-off party taking place during our Kids Fun Runs. Anyone ages 2-12 is invited to come out and participate in the runs (which are broken down by age group). Festivities start at 6:00 p.m. with music and prizes. Visit www.appletonparkandrec.org to pre-register for the event. On Sunday Erb and Mead Pools will be open and free of charge for kids 16 and under. The all new Erb pool features diving boards, in-water basketball hoops, two giant run-out water slides, and leisure pool with water features, and Mead pool features zero-depth entry and a water slide! Pack your beach towel and sunscreen and take advantage of this great opportunity to enjoy the pools for FREE! Erb Pool: 1:00 – 8:00 p.m.
Mead Pool: 12:00 – 8:00 p.m.
Join us for our “Dive-in” movie. The movie shown will be “Finding Dory” and will begin at dusk (around 8:30 p.m.). Those attending are encouraged to bring a raft to float on. The diving area of the pool will not be open during this time. Entrance to all Fox Cities YMCA locations will be free for all children ages 16 and under and their families. All children must be accompanied by a parent or guardian. Please visit their website at www.ymcafoxcities.org for open gym and swim hours. From course open until 3:00 p.m. kids (ages 18 and under) can come and enjoy free range balls. Call Reid at (920)832-5926 with questions. Join us at Pierce Park from 9:00 a.m. – noon for the 6th annual event. Youth will be on hand selling gently used toys, games, clothing, and accessories. You must be registered to sell items but not to shop. To register go to www.appletonparkandrec.org. Free lessons will be offered at the Telulah Park Skate Park for ages 10 – 14 from 5:30 – 7:30 p.m. No pre-registration needed. Lessons will be taught by individuals from Surfin Bird Skate Shop. 2 FREE kids under 17 bowling admissions and shoe rental with adult supervision. On Mondays, the 10th Frame opens at 3:00 p.m.
Have you ever thought about signing your child up for Karate? Come and try the FREE class at 9:00 a.m. at Karate America East – W3173 Springfield Drive. Free lessons will be offered at the Telulah Park Skate Park for ages 5 – 9 from 10:00 a.m. – noon. No pre-registration needed. Lessons will be taught by individuals from Surfin Bird Skate Shop. FREE batting cages at Badger Sports Park all day. All ages are welcome to come and enjoy the batting cages at NO CHARGE! Call (920) 830-6900 with questions. 2 FREE kids under 17 bowling admissions and shoe rental with adult supervision. Bowling hours are 11:00 a.m. – 8:00 p.m.
FREE child with paid adult for the weekday matinee family show at either 2:30 p.m. or 3:45 p.m. Special pricing for adults bringing more than one child. 2nd floor City Center in dance studios 1, 2 and 3 from 1:00-3:00 p.m.). Ages 4 – 18 are welcome to come and experience a new genre of dance during this fun event. Call Chelsey at 832-3927 with questions. Have you ever thought about signing your child up for Karate? Come and try the FREE class at 9:00 a.m. at Karate America East – W3173 Springfield Drive. Jump 2 hours for the price of 1 hour for ages 3 and up. Hours are 10:00 a.m. – 8:00 p.m. Waivers are required as well as Xtreme Air socks. Registration is required and can be done at www.buildingforkids.org. 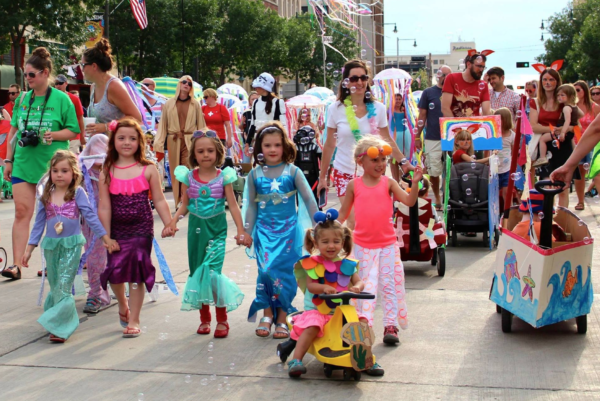 The parade starts at Houdini Plaza at 6:00 p.m. and ends in City Park with a Family Reception that goes until 8:00 p.m.
FREE Unlimited Attractions all day today! Children will have FREE unlimited access to the Train Ride, Bumper Cars, Carrousel, Giant Kid’s Playground, Toddler Zone. Lazer Tag admission is NOT included but will be offered at half price admission. At Erb Pool from 2:00 – 3:30 p.m. All equipment and instruction provided by Mountain Bay Scuba. Participants will need to complete a waiver prior to participation. Appleton Family Ice Center – 1717 E. Witzke Blvd., 11:00 a.m. – 1:00 p.m., $3.00 skate rentals. FREE child with paid adult for the weekday matinee family show at either 2:30 p.m. or 3:45 p.m. Special pricing for adults bringing more than one child. Matinee feature show: Secret of the Cardboard Rocket. FREE Indoor Batting Cages at Play It Again Sports Appleton – ALL DAY! Kids 14 and under are invited to come enjoy free indoor batting cages during business hours, 9 am – 8 pm. For more information, contact Play It Again Sports at (920)735-0432. This is the BIGGEST Parks and Recreation Department special event of the year!! 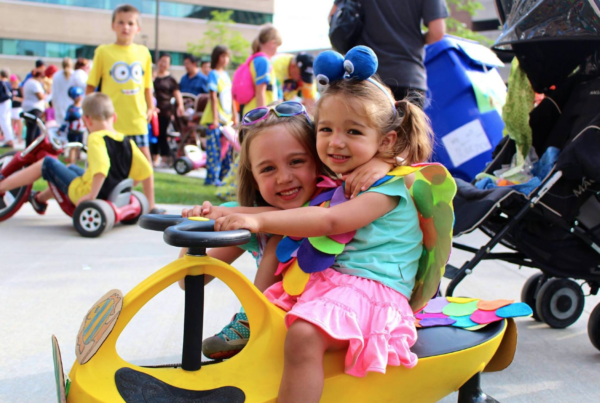 Our energetic Playground Leaders and local businesses/organizations sponsor two fun-filled days of carnival games, the trackless train, new and exciting inflatables, great food and entertainment. Visit the prize redemption center and cash in your tickets for fun prizes to take home with you. DATES: Thursday & Friday, July 26th and 27th from 2:00 – 8:00 p.m.
*Please check-in 10 minutes before your child’s class begins. Call or text (920)830-2233 or reserve your child’s spot for this positive and fun class during Children’s Week. Visit and make one make-and-take as well as a chance to participate in our community art project during the Farm Market. Both will be based around our current exhibition, Who Framed Roger Rabbit. The Art of Classic American Animation. 2 free games of bowling for anyone ages 15 and under between 5:00 – 9:00 p.m. Shoe rental NOT included. Storytime for pre-walkers and toddlers with social playtime after. Storytime for 2-year-olds with social playtime after. Participation in the storytime is necessary to take part in playtime. Siblings welcome. Stop by and create a masterpiece out of Legos. Siblings are welcome. Enjoy stories, puppet shows and a craft or activity! Are you ready for some tinkering? Bib, bob and whirr with gadgets and gizmos a plenty! Siblings welcome. Join us for stories, music, movement, media, puppets, and more! No registration necessary. Build, explore and create! Tween Scenes are designed for 3rd through 6th graders. Registration is required. A wildly unique opportunity to get up close and personal with some amazing animals; learn about them in a fun and exciting way! Designed for families whose primary language is Spanish. The program will help children, ages birth to 5 years, develop pre-reading skills, social skills, and confidence through interactive, play-centered learning. We will explore sensory activities, dramatic play, crafts, books, games and fun! Siblings welcomed. For Hmong families and their children birth to 5. Help your child develop pre-reading skills, social skills, and confidence through interactive play-centered learning. Find Appleton Public Library Children’s Services staff in Houdini Plaza (100 W. Lawrence St.) for chalk inspired activities for families, sponsored by Appleton Downtown Inc and The Building for Kids. If you are playing our Online Kid’s Summer Library Program, the code words for this event are Create Your Future. Brewers Sunday – Play catch on the field pre-game. Player autographs after the game. Brewers themed jerseys worn on field. Brewers Fan Makeover. Superhero Weekend w/ Black Panther – Black Panther is making his very first appearance at Neuroscience Group Field! Come say hi and take pictures with him before and during the game. GIVEAWAY – Superhero Fang Bobblehead – Not only will a special guest Superhero be at the ballpark, but the first 1,000 fans through the gates will receive a Superhero Fang Bobblehead! FREE child ticket with the purchase of an adult ticket. Qdoba Q’Monday – Purchase any Qdoba entree on any Monday game at any Appleton, Neenah, or Oshkosh location and receive a free Monday game ticket. Building Imagination Day w/ Clifford the Dog Appearance – Stay tuned for a character appearance from PBS Kids! North Shore Bank Family Night – Kids 14 and under can run the bases after the game. Enjoy a post-game fireworks display. Random Acts of Kindness Day – The Timber Rattlers and several local business are teaming up to perform various random acts of kindness throughout the ballpark. From free items to good deeds, we’re encouraging fans to come out to the ballpark and take part with us! GIVEAWAY – T-shirt – Get here early to do acts of kindness and receive a free T-shirt! First 1,000 fans through the gates. Nature Cat Appearance – Nature Cat from PBS Kids will be here to take pictures and say hi to all our fans! All week long stop into Fleet Feet Sports 3404 West College Ave. Appleton, WI 54914 to get a free scan of your child’s feet with their new Fit id technology and receive a FREE pair of kid’s socks, while supplies last. 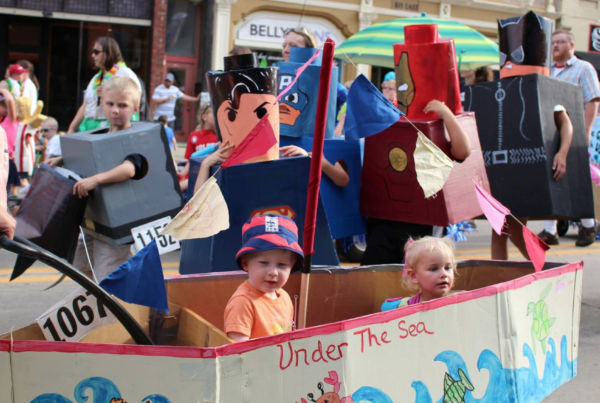 Here are some pictures from Go Valley Kids writer and contributor, Jen Van Rooy, from a previous Children’s Parade!